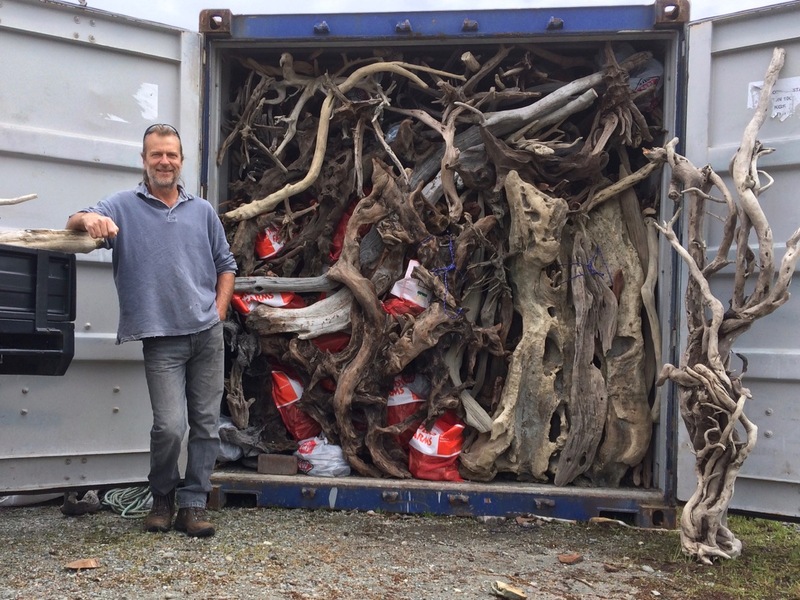 Driftwood collected by Nigel Peterken on the wild, wet, west coast shores of New Zealand. Originating from indigenous, prehistoric species, unique to the rainforests that flourish along the foothills of the Southern Alps. 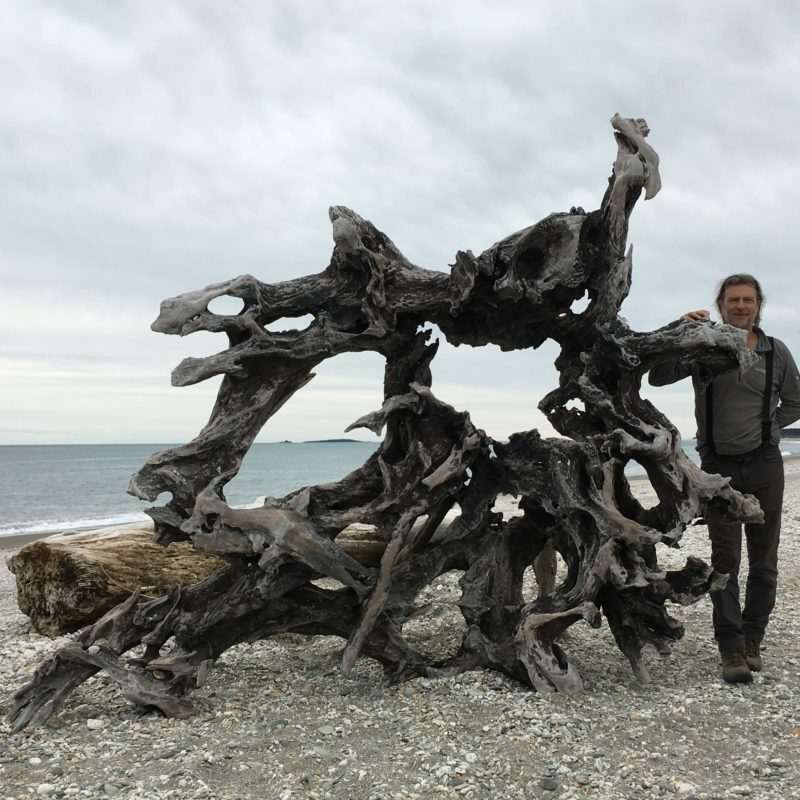 High rainfall ensures an ever-replenishing source of driftwood creations, beaten and transformed by the elements into organic masterpieces. Crafted by the forces of nature on the wild and wet southern west coastal shores of New Zealand. Each piece has been personally selected from the shores, for its individuality, aesthetics and sculptural potential. The abstract and tactile nature of driftwood is an infinite source of inspiration, with a multitude of applications. Shows offer a great opportunity to view and acquire a large range of our driftwood sculptures and furnishings, most of which will have been recently finished, along with a large selection of smaller driftwood items not available online, a favourite with flower arrangers, sculptors and anyone requiring inspiration. 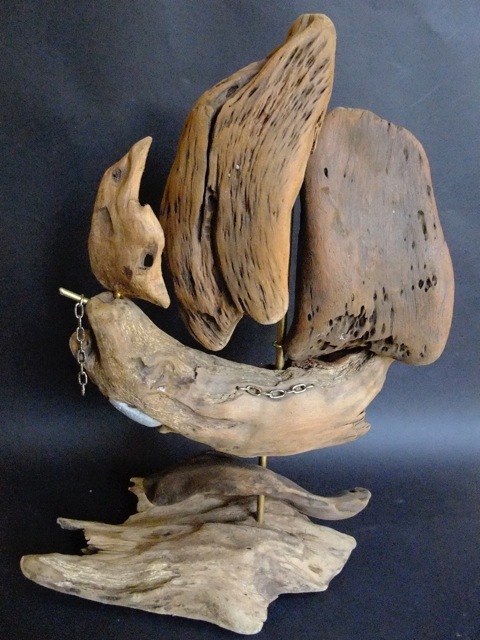 A typical display will contain Driftwood Sculptures of various sizes and styles. 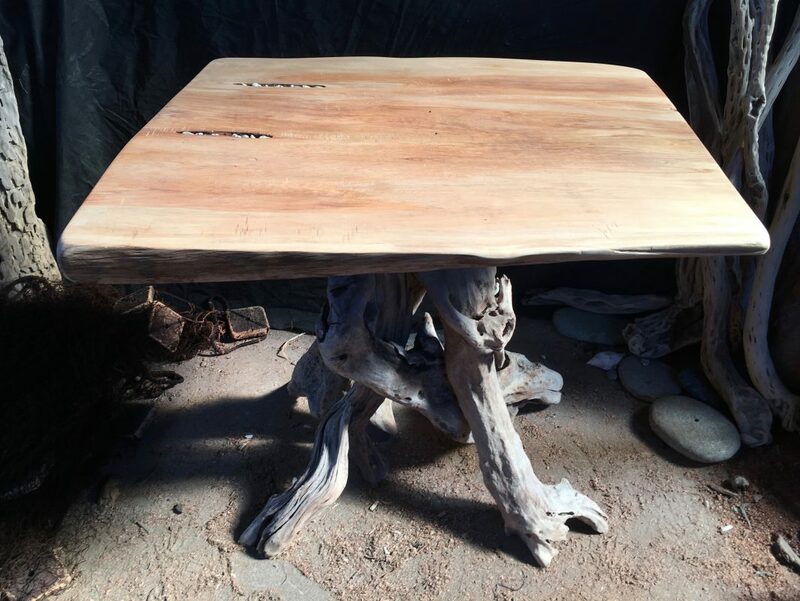 Driftwood Furnishings such as tables and chairs, Driftwood Art featuring skeletal fish, driftwood boats, bullrushes, dragonflies. All shows will be manned by the collector and artist Nigel Peterken, who will be happy to give advice and discuss any requirements you may have.